Zafir has a comfortable life in Homs in Syria with his doctor father and journalist mother. But everything changes after the Day of Rage when Father is arrested for helping some of the protesters campaigning for revolution in Syria. Then Mother is injured and their house is bombed. His cousin takes him in, but that too becomes dangerous as the city becomes more and more besieged. 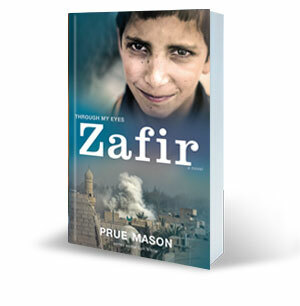 Can Zafir find his way back to his father alone?